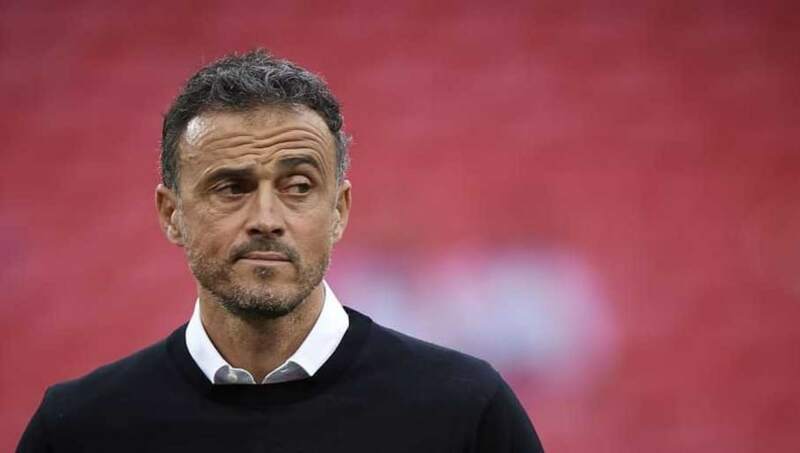 Spain manager Luis Enrique has rubbished suggestions that only one Barcelona player started in their UEFA Nations League match against Croatia solely because of hard feelings towards his former employers. The 48-year-old head coach included six Real Madrid players in the starting lineup - including Man of the Match Marco Asensio who was directly involved in five of Spain's six goals - but only Sergio Busquets was included from Enrique's former club. "I did not know or care," Enrique said, quoted by the Mirror. "They belong to the Spanish national team, nothing more. They are not from one team or another. I only see a shirt, that of the national team." Only Pep Guardiola and maybe, just maybe Klopp are better than Luis Enrique when the 3 are coaching. In fact, the suggestion that Enrique was in some way discriminating against Barcelona players during the specific match against Croatia is a ridiculous premise as, out of the entire 23-man squad, only Busquets and Sergi Roberto play their club football at the Camp Nou. It also appears surprising that in the aftermath of beating the World Cup finalists by a cricket score, questions would arise over the representation between Barcelona and Real Madrid, as opposed to the side's new look which includes this likes of Saúl Ñíguez, Rodri and Suso. Zidane wasn’t joking when he said Marco Asensio has the best left foot since Leo Messi. La Roja cruised to victory against Croatia largely thanks to a flurry of goals late in the first half. Atlético Madrid's Saúl opened the scoring before Asensio found the back of the net and forced goalkeeper Lovre Kalinić into scoring an own goal. Rodrigo, Sergio Ramos and Isco then rounded off the scoring for Spain as they secured another win and maintained their perfect record in the UEFA Nations League.